Road trip around Greece in 11 days! First stop, Peloponnese! 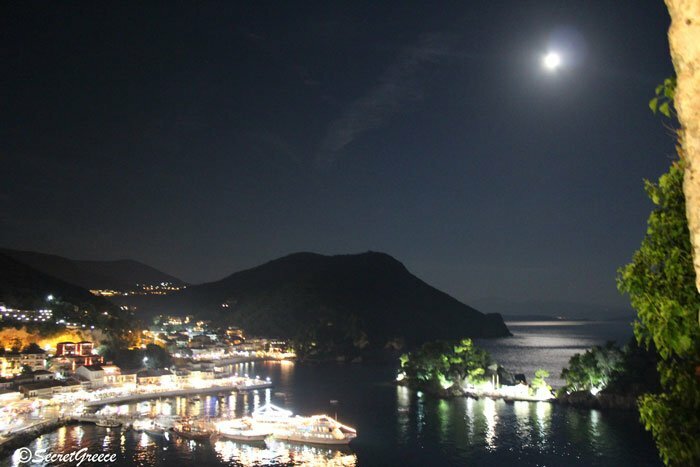 SecretGreece has done something that had never happened before in this small, but beautiful country called Greece!! We went an 11 days road trip in Greece focusing on the mainland (I am afraid no islands)!! 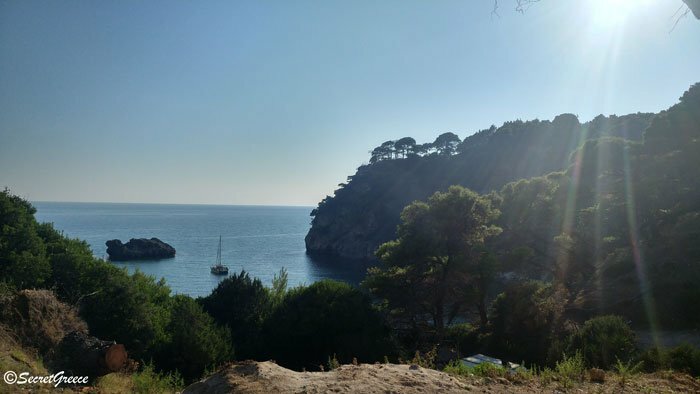 We spent the first 3.5 days in Peloponnese where we visited, villages, old towns, castles, beaches, archaeological sites, museums, lakes and so much more! Now, we are driving to Central and Western Greece! 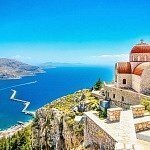 If you are looking for the best road trips in Greece we gathered the best itineraries with maps, photos and suggestion on our post here! So, we passed Rio-Antirio bridge, which – according to Wikipedia! – is one of the world’s longest multi-span cable-stayed bridges and the longest of the fully suspended type and we headed to Nafpaktos. 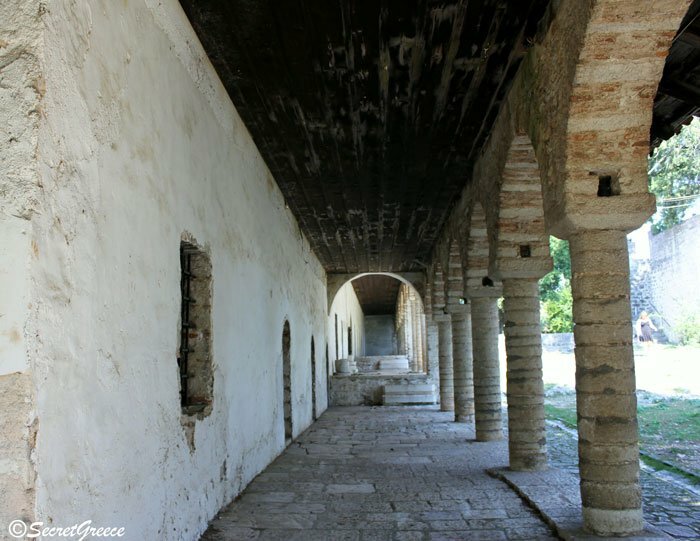 We visited the Castle of Lepanto (Nafpaktos), which is one of the best-preserved castles in Greece and a terrific example of Greek fortress architecture. 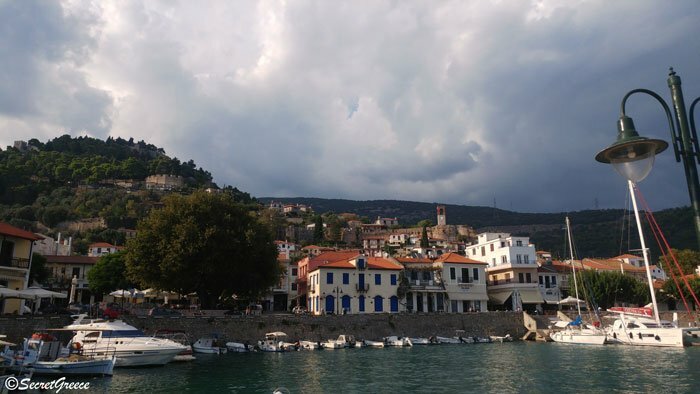 Nafpaktos is most known for the great battle that took place in 1571, the notorious battle of Lepanto! The Ottoman Empire’s naval power was almost totally damaged by the combined papal, Spanish and Venetian forces. Miguel de Cervantes, who wrote one of the world’s greatest literary masterpieces, Don Quixote, took part in the Battle of Lepanto! After a short walk in this town, we headed towards Mountainous Nafpaktia and especially not to so famous part of it. All the guides will tell you about Ano Hora and Elatou Villages, which are really nice but we wanted something more “hidden”! 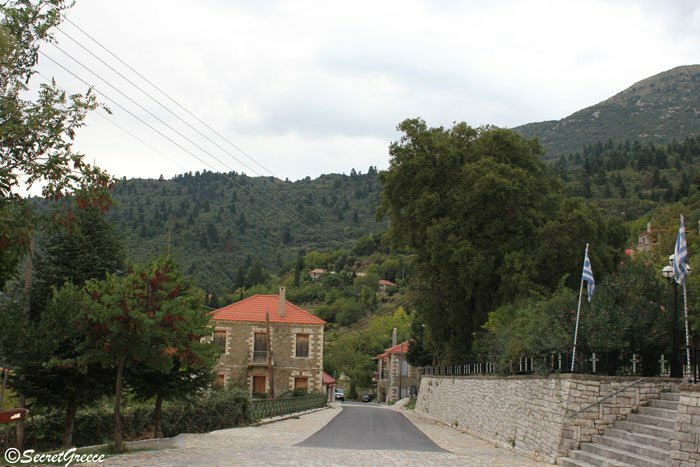 Therefore, we visited the remote villages of Simos, Dorvitsa, Stranoma and Poros. These villages are small and quite rough – to be frank – as they are not developed for tourism, but this was exactly the reason that we loved them as they were original and authentic! The whole area is called Kravara and in old days it was very poor and quite isolated and that’s why they have kept their authenticity. 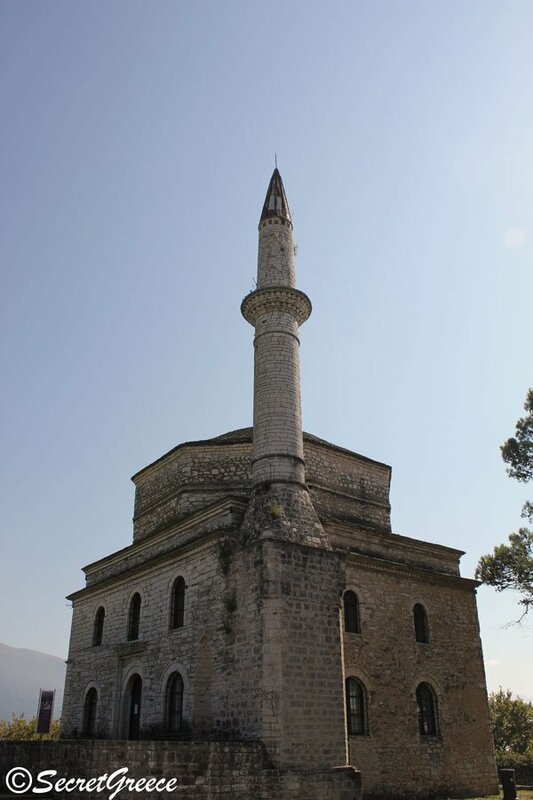 Our favourite village is Simos, where the old church Saint George welcomes the visitor. The church of Our Lady, dedicated to the Nativity of Mary, the old school that has been renovated and the narrow alleys make this small village really a hidden gem. We also passed the Evinos River and we drove to Thermos town where it was the last stop of this day! 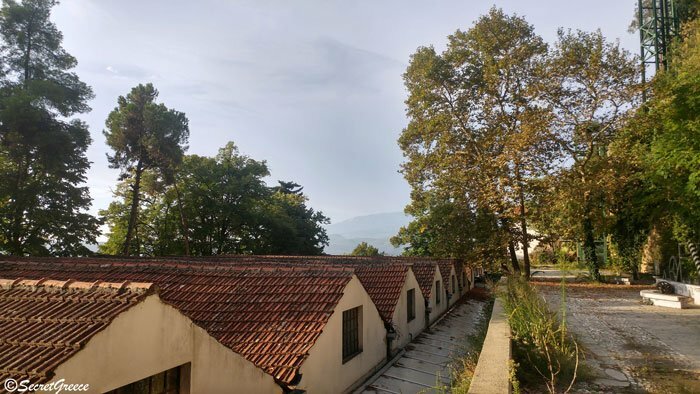 A new day was begun and after a Greek Coffee under plane trees, we visited the large archaeological site ( the modern town has been built very close to ancient Thermos city) and the new archaeological museum outside of the town. Very soon we got into the car and we tried to follow up our schedule for that day. 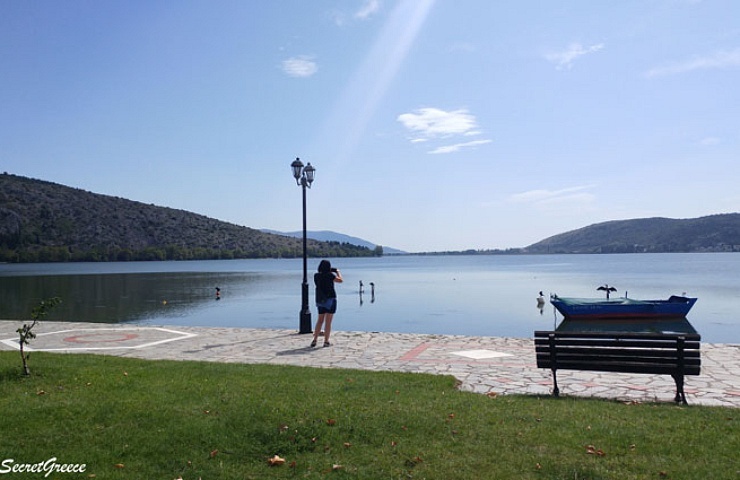 Initially we passed the Trichonida Lake, the largest Lake in Greece (you also check our dedicated post to Trichonida Lake and the activities that you can do there!). The views and the landscape are extraordinary! It is so peaceful to walk around the lake and watching birds from the shadows of trees. We lied down on the ground and we almost fell asleep!! But there was no place to rest. We were on a mission! So, we drove towards Amfilochia, which is very famous for its cheese and its amphitheatrical location! 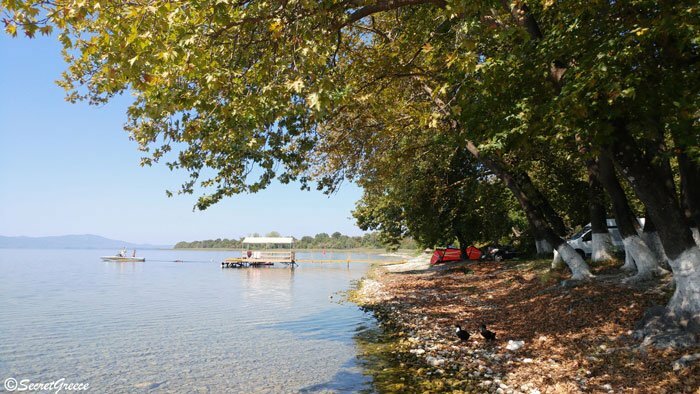 We ate quickly a tasty souvlaki and we continued around the Amvrakikos Gulf, passing through Vonitsa and using the tunnel which connects Aktio with Preveza and we arrived at Preveza City for a short coffee. Next stop was Nikopolis, the ancient city. 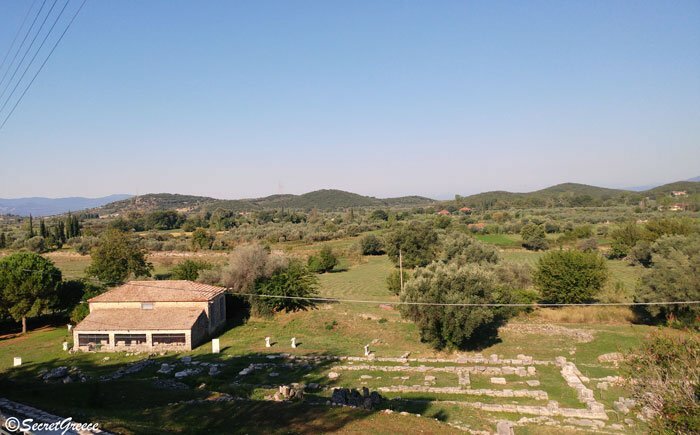 What to say about this archaeological site, which is probably the largest city in ancient Greece? For some bizarre reason, it is a hidden gem as not many people know about that. Maybe because some parts of this site are often closed for maintenance reasons. We were thinking of visiting the Nekromanteion, which was an ancient Greek temple of necromancy devoted to Hades and Persephone. This site was believed by devotees to be the door to Hades, the realm of the dead! If you are in the area, you should visit it, but we didn’t have the energy for that and we needed something to refresh us! 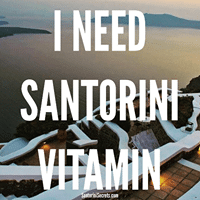 And believe me, this is not something difficult to find in Greece! So, we found a secluded beach, Alonakia, a few kilometres outside Parga!! It was totally delightful! The beach was quiet enough as it was September, pine trees armed the whole small gulf and a rock in the middle filled this beautiful beach! Now, we were ready to reach our final stop, Parga! We parked our car and we went directly to the castle! The landscape for one more time was marvellous and the trip ended for that day as good as it gets as it was a full moon at that night! How lucky were we??!!! We wake up early and we had another walk to the town as we wanted to wander around the alleys in daylight. Believe me, it was equally as beautiful as last night! 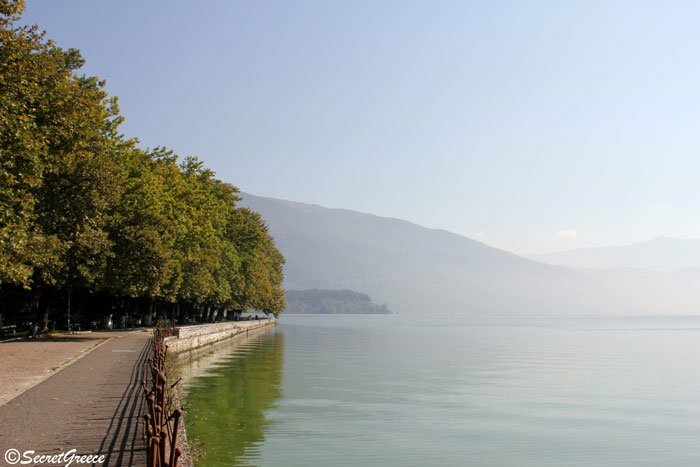 And back to our car and next destination was Ioannina. The weather changed for a moment as there was fog, but this wasn’t something very strange for this area. 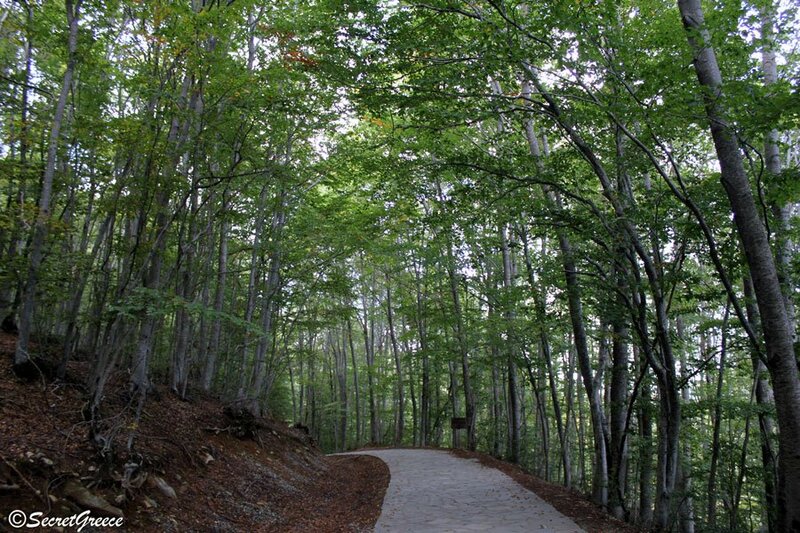 We used the Egnatia Road which is a very modern highway that was built from 1994 to 2011. 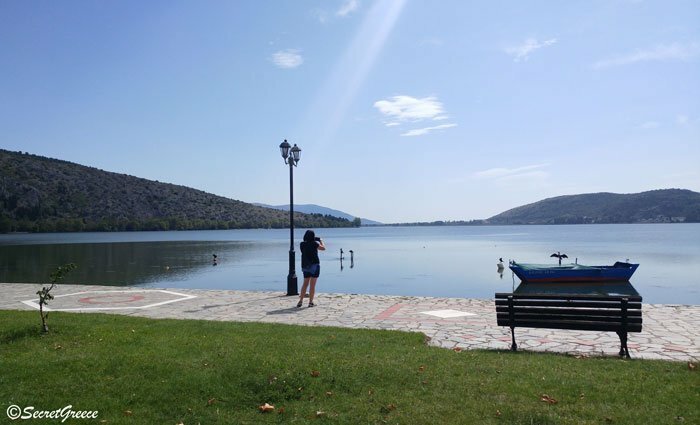 We really enjoyed the route till Ioannina, where we parked at the beginning of the Old city, took our camera and just walked around the lake. Opposite, it’s an island, which doesn’t have a name(!) and it’s one of the 2 islands in lakes in Greece that has inhabitants (do you know the 2nd island?). But, our focus was the old town, so you got in and got lost in its alleys! The buildings and the whole area transfer you into another era, sacramental and wild with canons, high stone walls and towers!! But, we had to come back to reality and to modern times and to get our car and direct to Metsovo using again Egnatia Road. 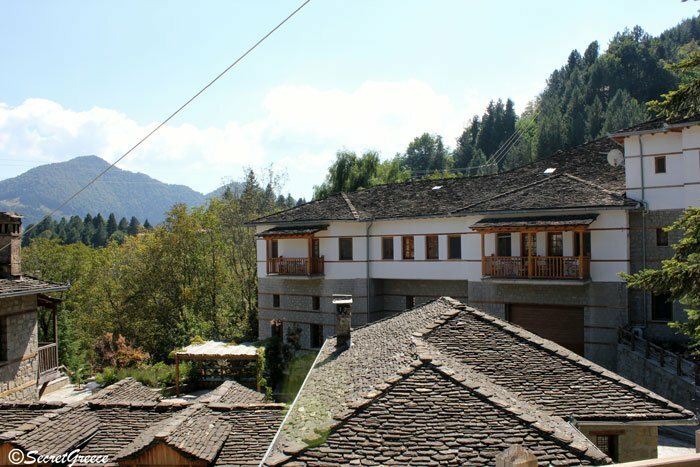 Probably Metsovo is of the most beautiful mountainous towns in Greece. It is built in the region of Pindus and the local stone architecture dominates the whole Metsovo. What can you find there? Traditional stone settlements, leafy squares, tasty food, wineries, cheese makers and many many things to do!! We also found time to visit Katogi Averoff Winery, which was really awesome. 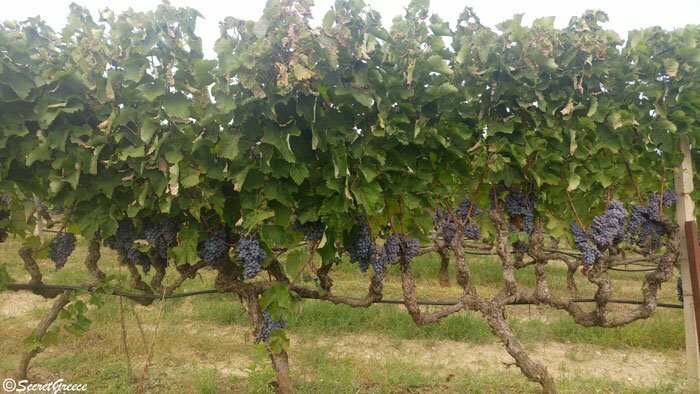 The guide informed us about the whole history of the local Wine! The guide is free (! ), but we were more than happy to buy some wine to support their tour and we bought a special wine that we could find only at their wine shop!! 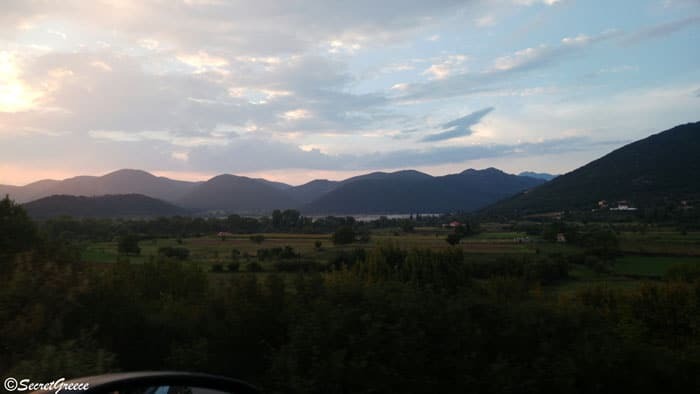 After that, we ate an amazing “Exohiko” plate and we left from Metsovo and directed to Kastoria, passing through Grevena for a quick look and coffee. 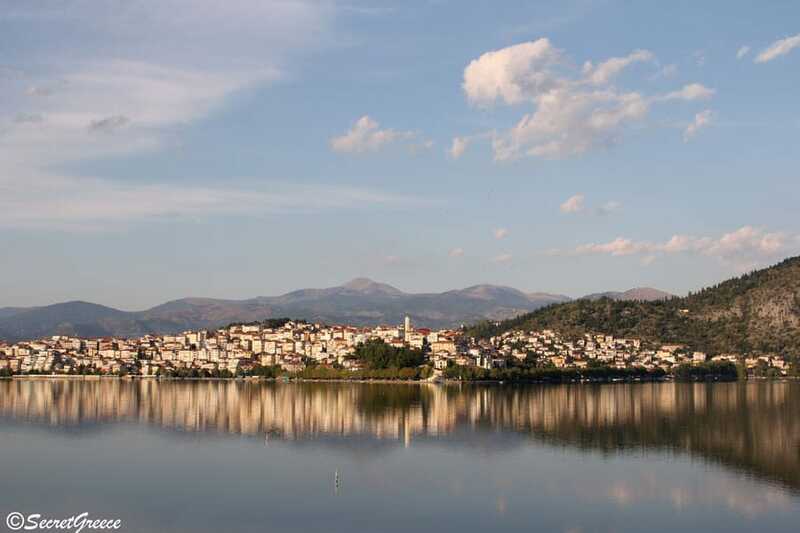 Kastoria city is just stunning. 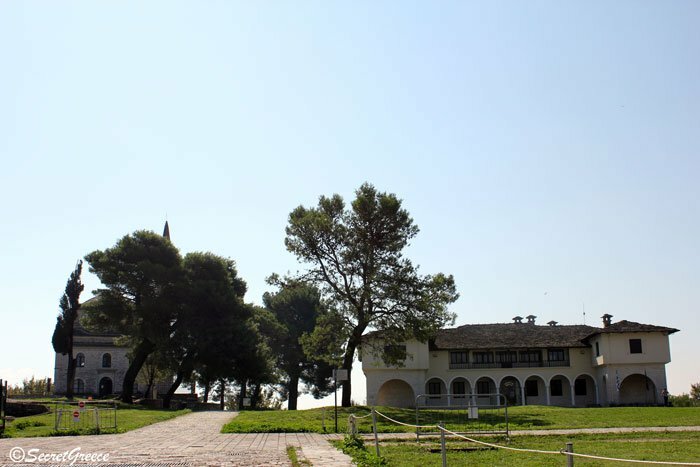 It is built quietly on the banks of the beautiful lake and it’s one of the most atmospheric cities in Greece! 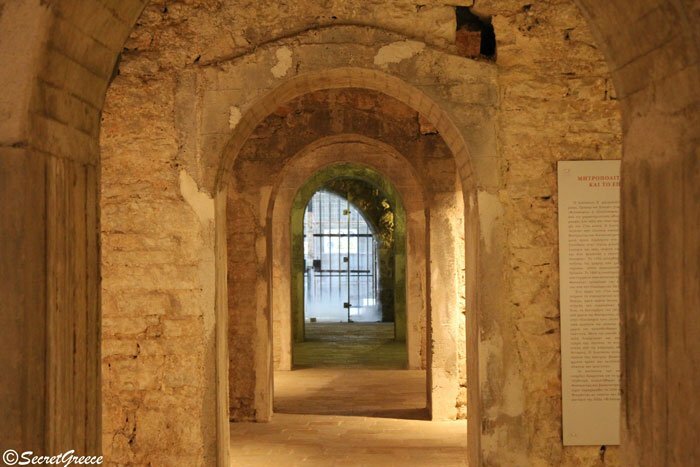 It has more than 70 Byzantine and post-Byzantine churches, most of them between the splendid houses! Next day we started our journey a little bit late and if I want to be accurate with you my amazing readers, very very late! We felt a little bit tired so we have shortened our road trip route for this day. 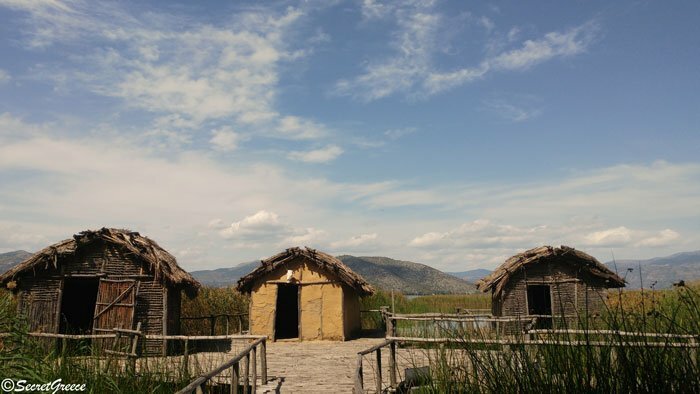 We visited Dispilio village, which is 10 minutes from Kastoria and it is a prehistoric village, which appears to have been occupied over a long period, from the final stages of the Middle Neolithic (5600-5000 BC) to the Final Neolithic (3000 BC)! A number of items were found there, including ceramics, wooden structural elements, seeds, bones, figurines, personal ornaments, flutes and what appears to be the most significant finding, the inscribed Dispilio Tablet, which is probably the oldest script in the world!!! We were amazed at what we heard and considering about how much history this country has, we headed towards Nymfaio village. Nymfaio village is built according to the traditional architecture style of stone-built houses that dominates in the area. 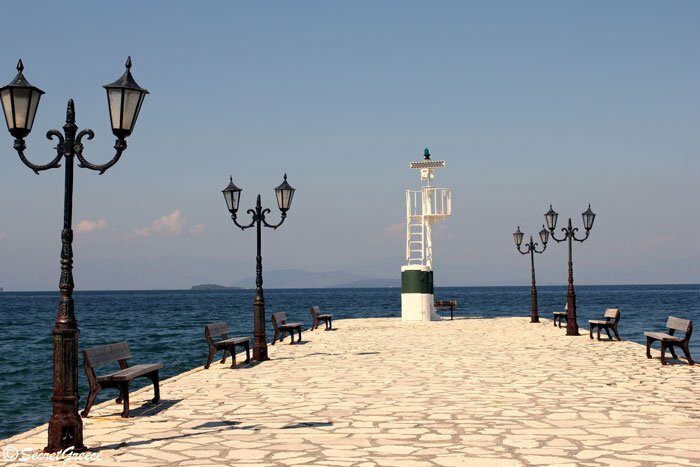 It is certainly one of the most beautiful Greek villages! 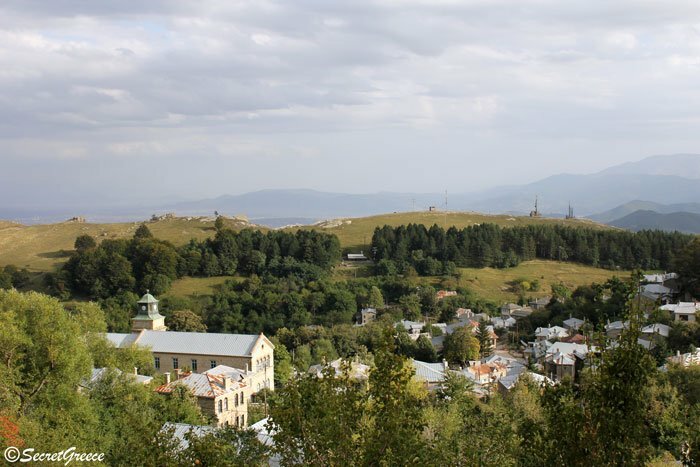 It is worth visiting Nymfaio’s folklore museum, the orthodox church of Saint Nikolas, one of the oldest schools in the area, and of course “Arktouros” centre of environmental protection of the brown bears, which we also visited. We followed the 30 minutes guided tour, which took us through the protected area and it was explained to us the terrific job that this environmental centre does. 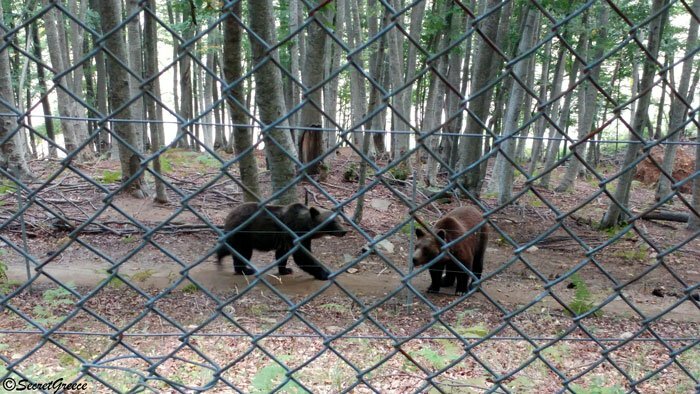 We were also lucky enough to see some of the bears! The place is located inside a beech forest and after the tour, we wandered around the forest and we found it totally refreshing! So, next stop was Edessa town where we would stay the night. This was a very short day but it was necessary for us as we had covered some many kilometres in just a few days! 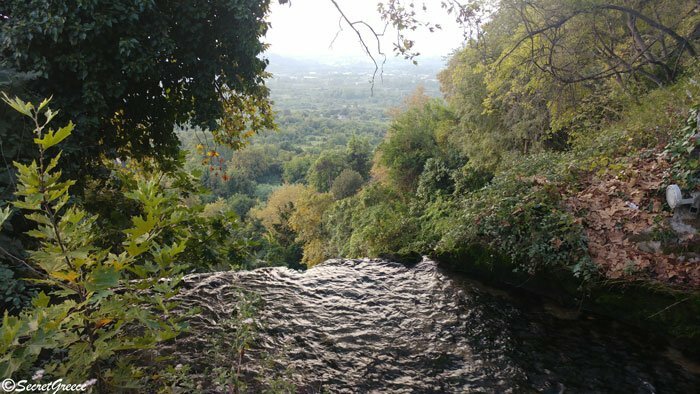 And the Edessa town was ideal to recharge all our batteries. 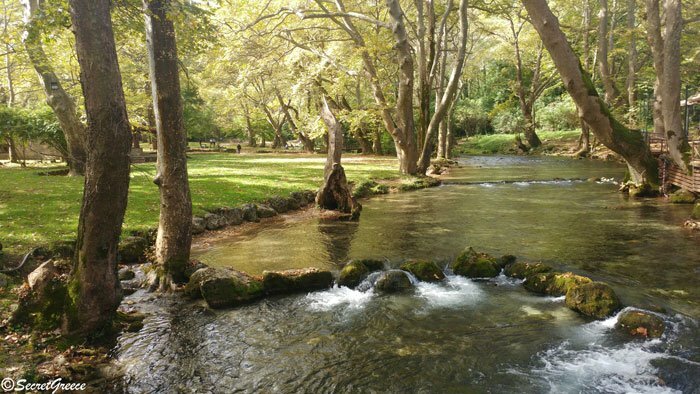 It’s a town built around waterfalls and it’s the only town in Greece with so many streams! 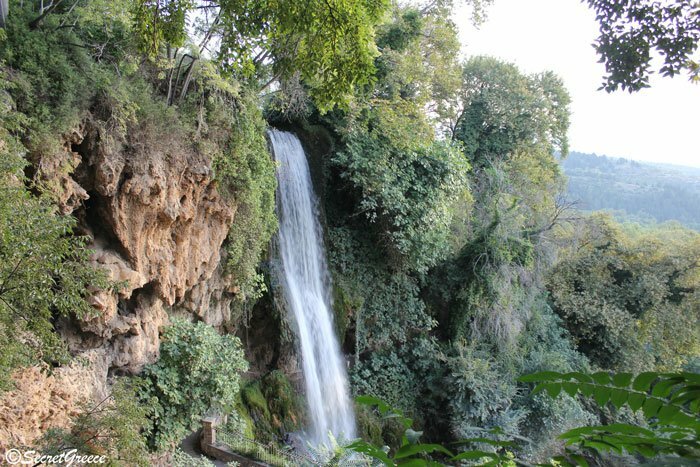 It was an early wake up for us and we walked to waterfalls. It was a wonderful experience as we were getting closer to them and we were hearing the sound of the water to fall down. We took numerous photos, we admired the view and we felt like the water was cleaning our “soul” and rest our “eyes”. Magnificent place. Next to waterfalls is Kannavourgio, an old, local industry area, which is part of the city’s identity. It has been renovated during the last decade but when we visited it seemed a little bit neglected again. For there, we walked to the old town and we totally enjoyed as it was a wonderful Sunday morning! We returned to the hotel, checked out and we drove to Naousa. 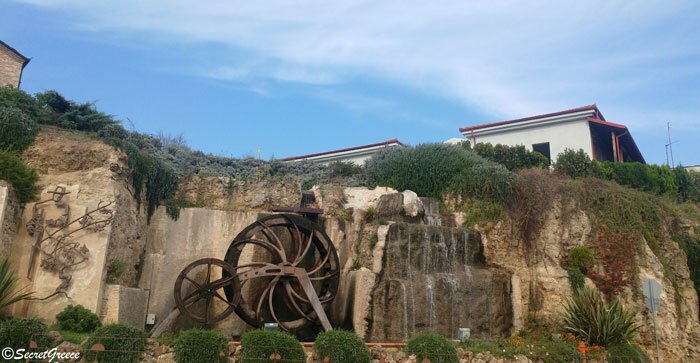 The city of Naousa is located on the eastern outskirts of Vermio, and the traditional houses coexist with modern buildings and trigger the architectural and cultural interest of visitors. You’ll love the city with views of the valley. 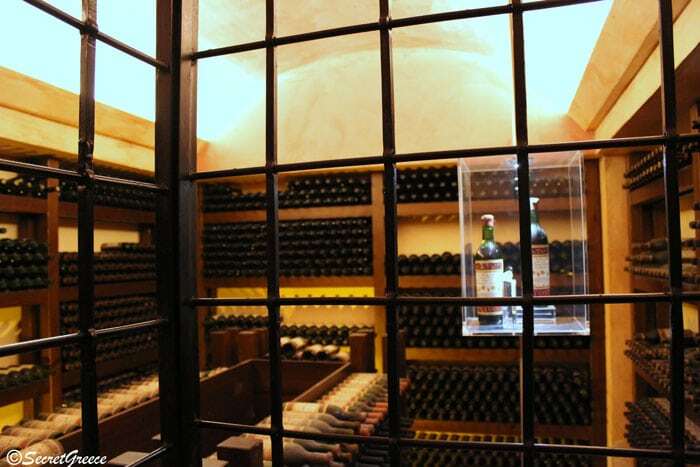 Also, the whole area has a reputation for its wineries and some of them organise guided tours! 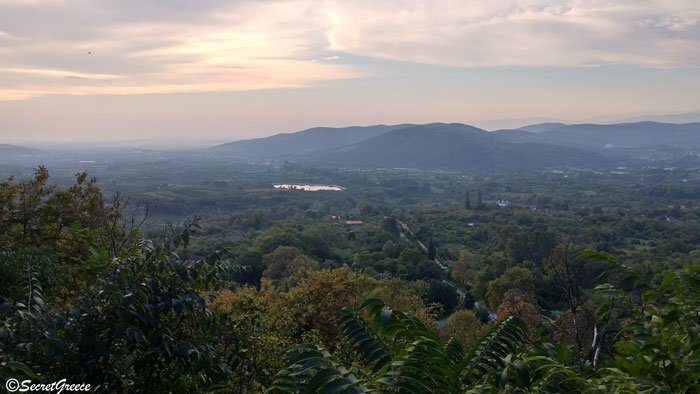 The Naoussa region concentrates on just one variety – the formidable Xinomavro, widely considered to be Greece’s highest quality red grape! And additionally, Naousa has nearby 2 ski resorts, Tria Pente Pigadia and Seli! After a short tour around the city, we directed to St. Nicholas Park, 3 kilometres outside the city and it’s an oasis of coolness and relaxation! 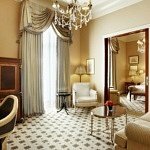 This was a great tip that we got from travel blogger Runvel and we thank him for that! 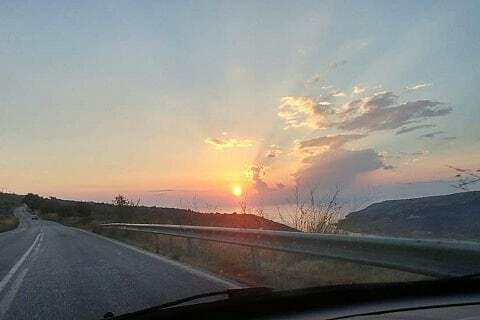 But, because we didn’t plan this road trip just to relax, but to know better the beautiful mainland of Greece, we went directly after that to Veria. Our expectations were high and to be frank we didn’t quite get impressed by the town. 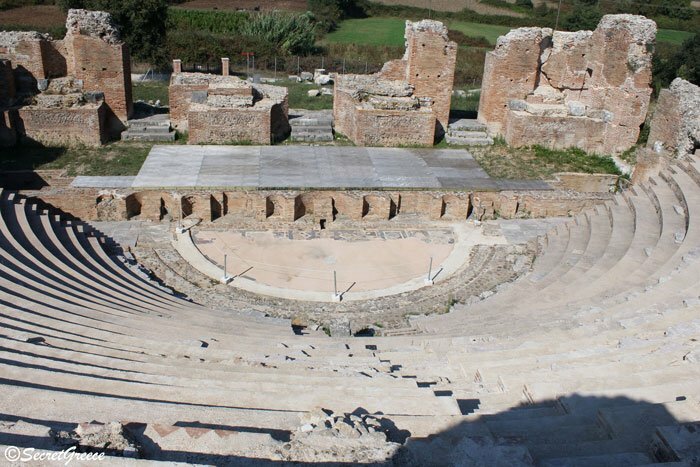 Maybe this was caused by the lack of time and we didn’t discover all Veria’s beauty…who knows. We ate, of course, the famous Ravani dessert – also we weren’t impressed by this – and we walked around some keys points of the city like the Kyriotissa with renovated houses and mansions, the Jewish Barbouta neighbourhood with beautiful mansions and of course the famous library of Veria. This library in 2010 received the Access to Learning Award (plus $1million! 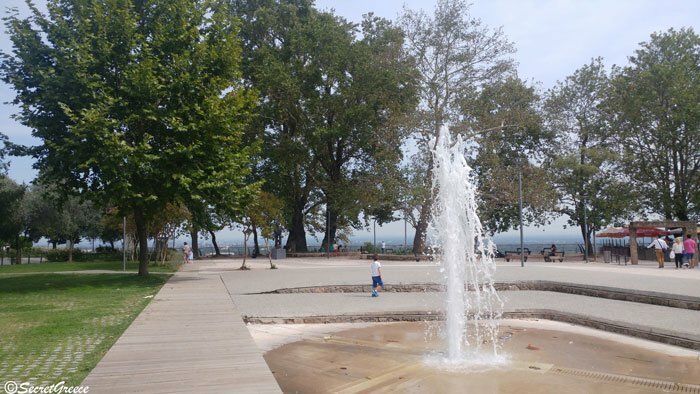 as funding) from the Bill & Melinda Gates Foundation for its creative use of information and technology services to meet the economic, educational, and cultural needs of Veria’s inhabitants! Before leaving we admired the view from Olive square and we went to Thessaloniki. 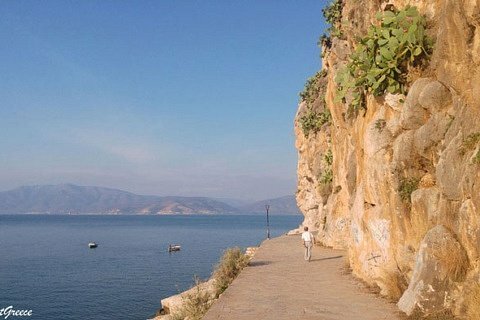 Our plan was to stay there and then drive to Xanthi, Drama and Kavala and then return to Thessaloniki. 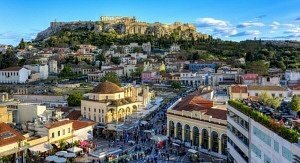 But, a personal issue came up and we had to stay in Thessaloniki and stopped our road trip for that day and next as well… It’s a pity as we have planned to visit some amazing areas there, but these things happen…what can we do?? This was the 2nd part of our road trip and we hope you enjoyed it! 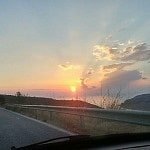 In case that you want to read the 1st part of our road trip in Greece about Peloponnese, then click here! 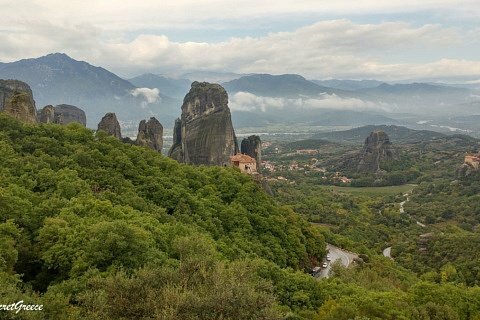 Also, check the route of the 2nd part of our road trip in Greece! Check also the 3rd and last part of our road trip here! If you have any questions or you want to share your thoughts or your own stories, just leave a comment below or contact us on Instagram or Twitter or Facebook! 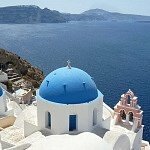 NewerWhich islands you can visit from Santorini!